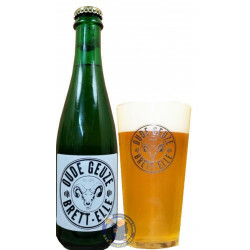 At brewery 3 Fonteinen, a lot of things happen spontaneously. 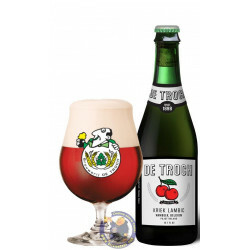 By mistake, but with a surprising result, the brewers assembled two wooden barrels in which the cherries and cherries of Schaerbeek macerated, instead of separating them. A small accident, but with a good result. But as always natural fruits, without adding juice, syrups or sugars. Unfiltered and unpasteurized. 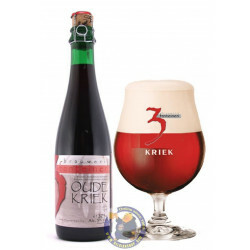 During the six-month period of this Oude Kriek + Schaerbeek, oak barrels were used. 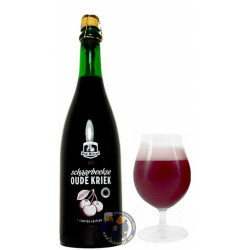 The final intensity of the fruit is 460 grams of cherries per liter (40% cherries from Schaerbeek). Number of bottles: 880. 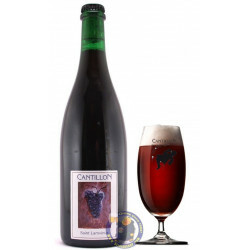 Pours deep red with little to no head. 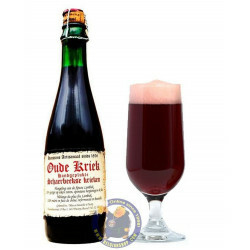 Aroma of peppery herbal cherrystones, heavy deep sweet cherries alike, light vanilla and faint note of marcipan - cherrystone, Woody and barnyard. 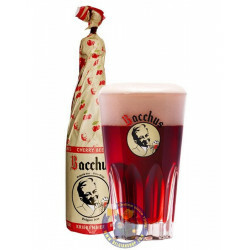 Lovely tart flavour, cherrystones, sweet cherry alike, good funk. Slight dry finish.